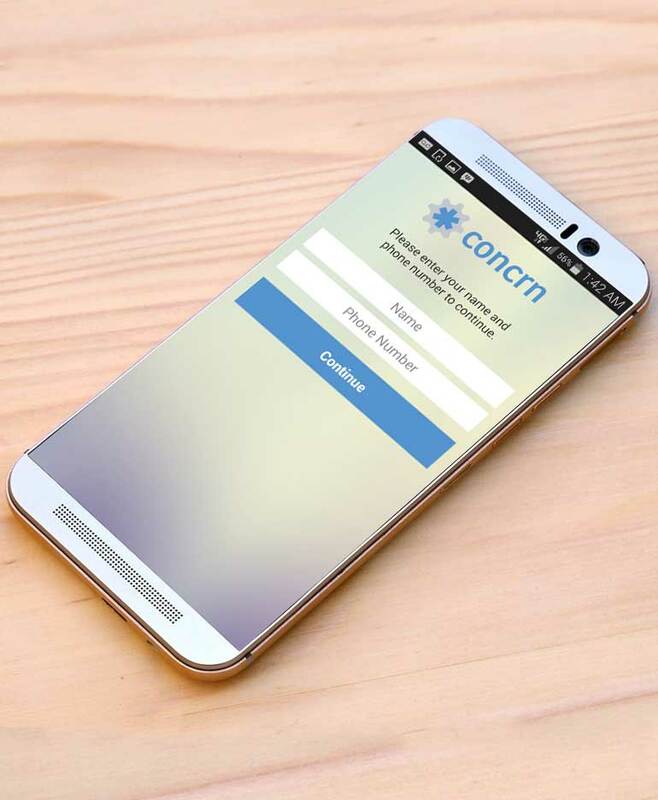 Concrn gives you helping hand when it’s needed most. Submit a full report to local responders in under a minute. Friendly, trained civilians will arrive on scene to provide care. And it’s all free. CodeMedia 360 created the Concrn Android app from the companies IOS version. 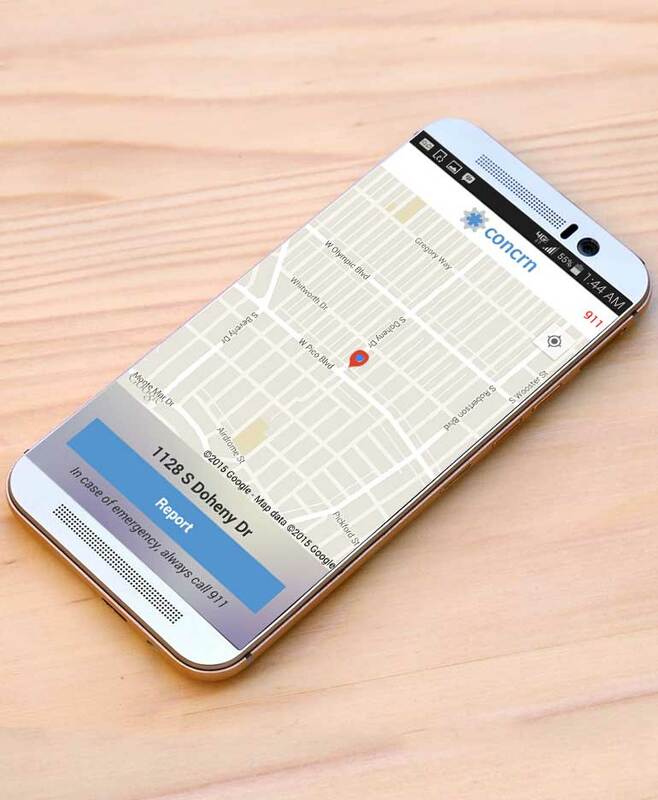 App includes location based reporting to send name and phone number, voluntarily provided, and location to a local response network in one tap. 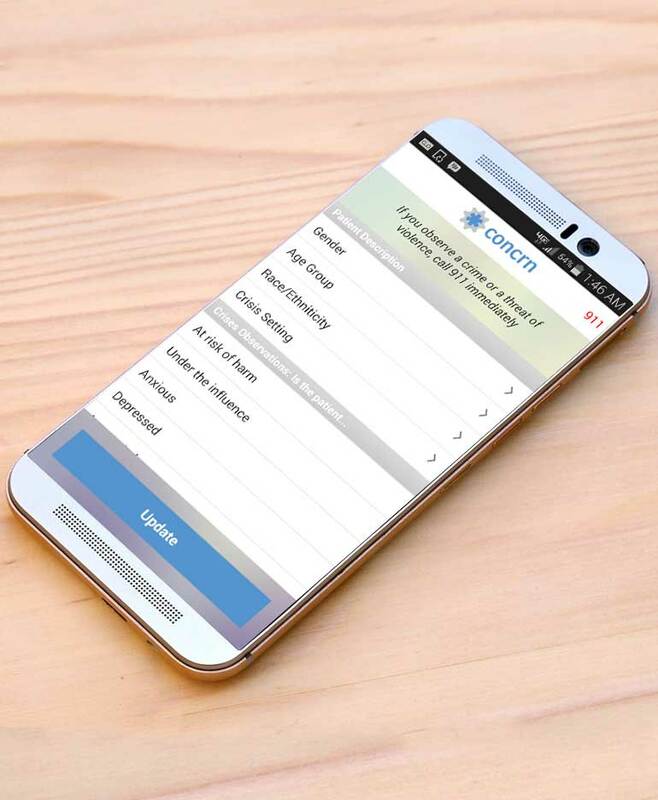 Additional details allow the user to create an extensively detailed report, including photo, all in under a minute with no phone calls or data entry.